This is a much more appropriate programme for a single class, or very small year group. 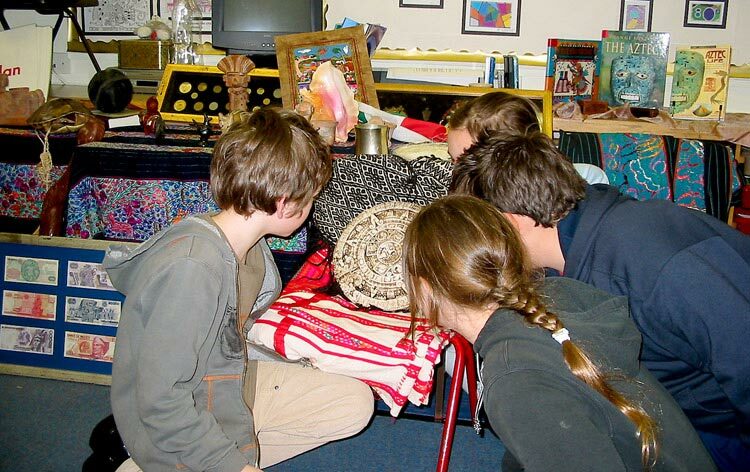 It is nothing like the full presentation - it has fewer “performance” elements to it; instead it is an intimate discussion, and HANDS-ON experience - in the classroom - based around a selection of choice artefacts. 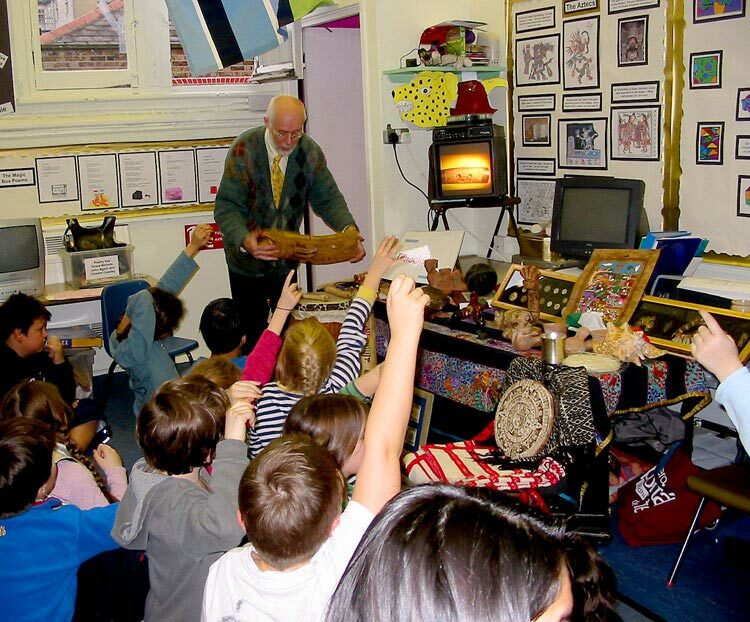 After an illustrated introduction from us, the session is opened to the children themselves, for them to ask us as many questions as they like about the artefacts themselves, or about the Aztecs in general. We show slides throughout the session and touch on the whole issue of “evidence”, focusing on primary and secondary sources of information on the Aztecs. 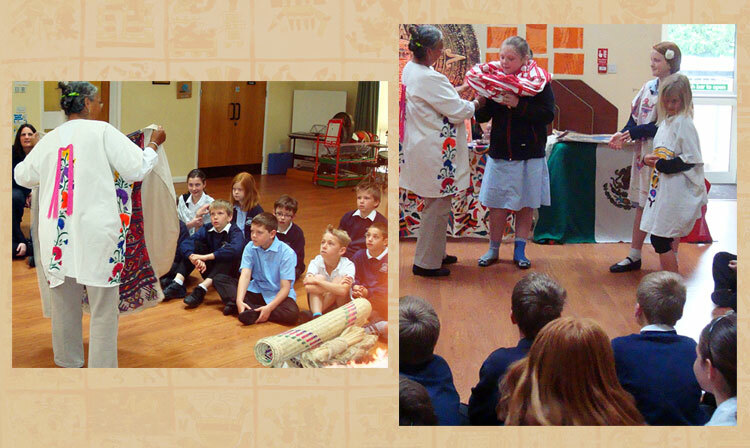 The pupils’ historical enquiry skills should certainly be more finely attuned after one of our Q&A sessions...! At present the focus of the session is clothing, jewellery, calendars and codices, writing with glyphs, gods, and a demonstration of Aztec wind and percussion instruments. When to get us in: This session is particularly effective once the children are ‘well into’ (middle or end of) the topic.